If more people were able to hear opera singers for the first time when they were still giggly, insecure, hopeful, shy, eager, and adorable, a lot more people would go to the opera. Recently, I was given the privilege - one I didn't deserve having never been to an opera performance - of being invited by a Mexican friend to attend the “final exams” of aspiring opera singers at the Angela Peralta Theater, Mazatlán’s opera house and fine arts academy. Before a crowd of approximately hundred guests in a small adjacent art gallery salon, each student sang their chosen piece with either no music or no more than a few bare piano key notes as accompaniment, played by their instructor. The pianist was Maestro Enrique Patron de la Rueda, who is considered the foremost director of opera of his generation in Mexico. The opera program in Mazatlán is of such renown that students come from all over Latin America for the opportunity to work with him. This night he gently corrected, encouraged, and cajoled them from stage right, at times breaking the fourth wall and joking directly with the spellbound audience. By the time they make it to the venues where you might see them perform, large opera houses in major cities, they will be polished proud professionals, beyond our reach, just as opera was economically beyond mine. I certainly couldn’t afford tickets as a young professional. Even though relatively affluent by my 40’s, I had never had enough exposure to develop the enthusiasm necessary to fork over $100 a ticket plus recruit a companion willing to do the same. In researching the prices in the U.S for opera tickets this week, I could not even find prices for individual tickets on opera house websites, so set are they in selling season tickets. I saw very little in terms of an affordable point-of-entry. The average person needs either a great deal of interest or a great deal of disposable income to buy a season ticket to the opera, actually two season tickets because who who wants to go alone? Tellingly, the only two people I know with season tickets are a couple, both doctors. Now that I live in Mexico, I can expand my knowledge of all the fine arts, not just opera, without a major investment. Mexico has probably a dozen opera houses (Wikipedia inaccurately lists four, the downside of crowd sourcing information). Most larger cities in Mexico have active performing arts centers. Mexico has recently contributed several opera super-stars since Placido Domingo, including tenor Rolando Villazon, canta tenor Jesus Leon, and the singer that’s getting all the attention now, tenor Javier Camarena, who was compelled to give an encore at the New York Metropolitan Opera. To give you an idea of the magnitude of that, only two others have sung encores there in more than half a century. “The Mexican voice has fire, brilliance. But it also has this darkness.” said Joseph McCain, a former director of the Austin Lyric Opera who worked with opera singers in Miguel San Allende in an interview for the Washington Post. It is a world I would like to know better and now I can. In Mexico I can attend a first-rate performance in a beautiful, intimate opera hall for about $35. Ballet, opera and live theater are all available to me at reasonable prices. I will be able to afford to learn more and appreciate more. Maybe in a few years, if I ever return to the U.S permanently, I will have developed enough appreciation (and saved enough money living in Mexico) to want to plunk down the money for season’s tickets. Wouldn’t that be ironic? After seeing these young students and hearing them, I will always create back stories in my head of what opera singers might have overcome as young students to have the opportunity to sing. Opera dramas are often set in tough urban or rural settings where the protagonists face hardship and tragedy. Mexico creates it's own context of tragedy to inspire these singers. One such back story is of the young opera students from Mexico City who took to the streets as a form of protest after 43 Mexican students were killed in September, 2014 . Opera students just went out on street corners and sang, demonstrating a spirit for beauty that is never held hostage. Mexico's history, recent and ancient, makes it a perfect place for the genesis of great opera singers. I plan to be here to hear them. Some of the most famous operas in Spanish. Mexico's communities like to celebrate heritage. Sometime it's even yours. Most recent: When do you dance differently? When the music changes, of course. 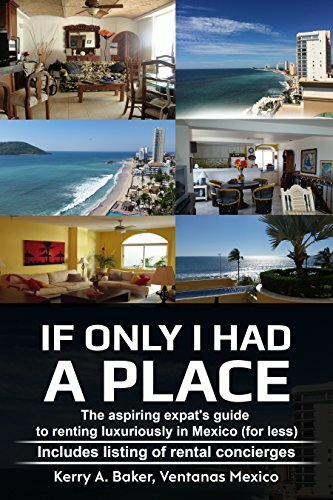 She recently released "If Only I Had a Place,' the things realtors don't want you to know about renting in Mexico. Avoid the pitfalls, take advantage of the opportunities of renting in Mexico as an expat. 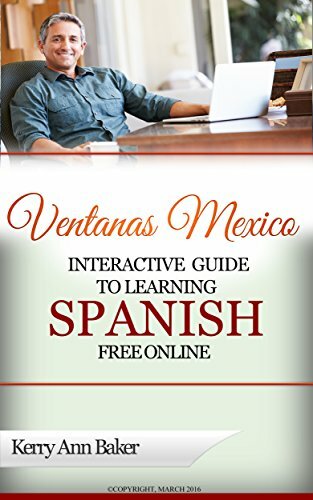 She is also author of the "Interactive Guide to Learning Spanish Free Online," a curation of the best Spanish language tools on the web. It takes years to actually be able to converse in Spanish. Get started today.